Mt. Diablo Zen Group is led by Baika Pratt-Heaton, Abbess, Founder, and Zen Priest; Leslie Bartholic, Zen Teacher; and John Busch, Zen Priest. 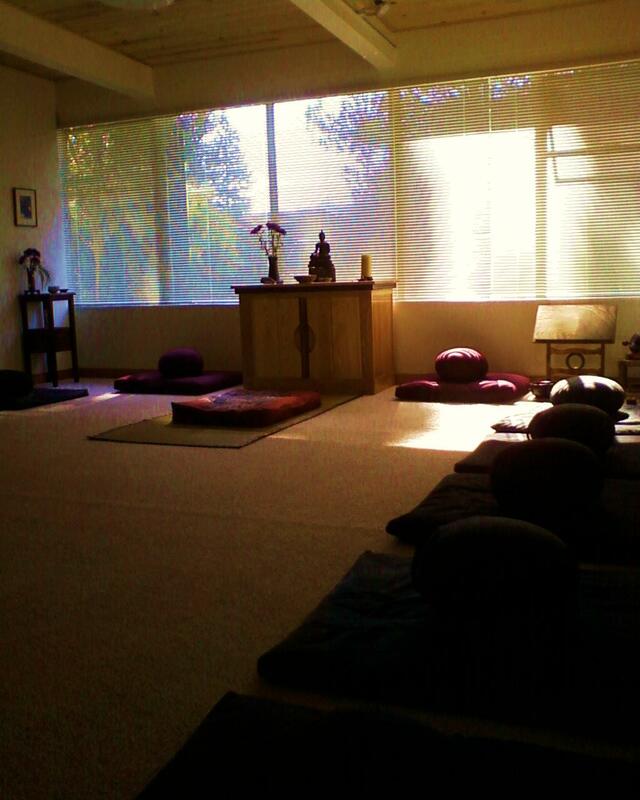 This group meets Wednesday evenings for Zazen (meditation), study and discussion. Once a month, half day silent retreats are offered on a Saturday morning. Practice discussion with one of our teachers is available and strongly encouraged for ongoing students. Zazen is meditation following the Soto Zen Buddhist tradition from Japan. In Zazen, we bring awareness to breath and posture and what’s going on in the mind. We carry this peaceful practice into the world and to each of our daily activities. Join Leslie Bartholic and John Busch for meditation instruction Wednesday evenings, 6:30 pm, followed by Zazen, reading (currently: Together Under One Roof: Making A Home of the Buddha’s Household by Lin Jensen) and discussion. The monthly half day retreats, led by John Busch, are mostly silent with alternating periods of Zazen and kinhin (walking meditation), a rest period with tea and snacks, and a traditional Buddhist ending chant. All members are encouraged to establish a daily meditation practice, with consideration for their daily life schedule.